Grand Master Che Cheng Chiang, a native of Taiwan, began his training in Shaolin Martial arts at an early age. Now he is the only descendant of Shaolin art of acupoint, he is 31st Generation. He established a school to teach the Chinese Martial arts at the age of 27. 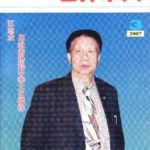 He was appointed President and Chairman of the Taipei Martial arts Association, with more than 20 gold medals from national and international Championships. 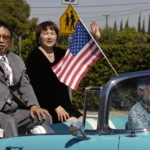 In 1968, he was appointed to Japan and Korea to teach Chinese Martial arts, and won the Japanese 9th degree in Karate. He has once been the head coach for the Japanese Self-defense Army and for the Korean Presidential Security Guards. 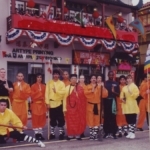 In 1980, he came to the United State and established in Los Angeles the Chinese Martial arts Studio, China Kung-Fu Acupressure Center/Association, International Martial arts Federation, American Chinese Martial arts Association, International Martial arts Medical University, etc. He was appointed 31st Generation Shaolin from the original Shaolin Temple in China with Shi De Qian. 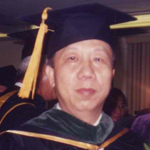 He won the Master’s and Doctoral Degree in Chinese Medicine and Herbs, Honorable Medical Doctor Degree, Doctor of Philosophy Degree, Doctor of Theology Degree, and Honorary President of the American Chinese Medicine Herbs and Acupuncture Association. 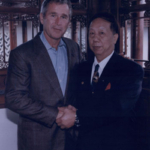 In may 1996, he was elected President of the International Shaolin Wu-Shu General Committee in Japan, and later was elected President of the American Chinese Federation and President of the World Medicine and Herb United Committee in the United States. He has appointed Shifu Marquez as President of International Kung Fu Federation and International Martial Arts Federation for the United States which is over 250,000 students and Masters. Master Chiang has taken Shifu Marquez to 44 countries around the world for meetings and World Championships that he has sponsored. Master Chiang teaches Tui Na, Deep Tissue Massage to Shifu Marquez for the past 24 years and certified him in these fields. 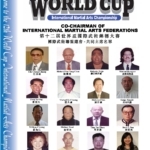 On Master Chiang’s passing he turned the IMAF & IKKF to Shifu Marquez as the Head Chairman.